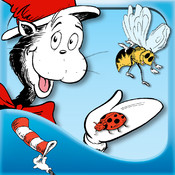 Follow along and let The Cat in the Hat lead as you learn all about insects. See how these fascinating six-legged creatures, from butterflies and crickets to fireflies and honeybees, inhabit our environment and make everything better for the world around us. This app is a great way for kids to learn how interconnected we all are! Learn how insects see, smell, communicate and pollinate. There are information cards from Thing 1 and Thing 2 containing facts about the insect world. Tap around to learn even more! 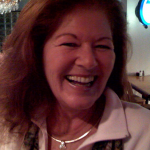 On Beyond Bugs: All About Insects is presented to us by Oceanhouse Media – A leader in early education! This is a perfect Teacher Tool! Ready To Learn About Bugs?! Info From Thing 1 and 2!